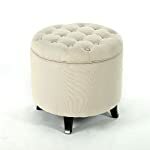 Upholstered fabric, this ottoman features wooden legs in a rich dark finish and a stylish button-tufted design. 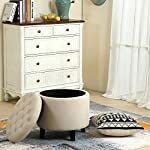 This ottoman is the perfect place to hide additional clutter while also doubling as extra seating. 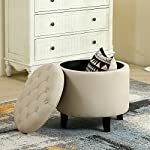 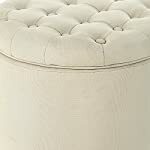 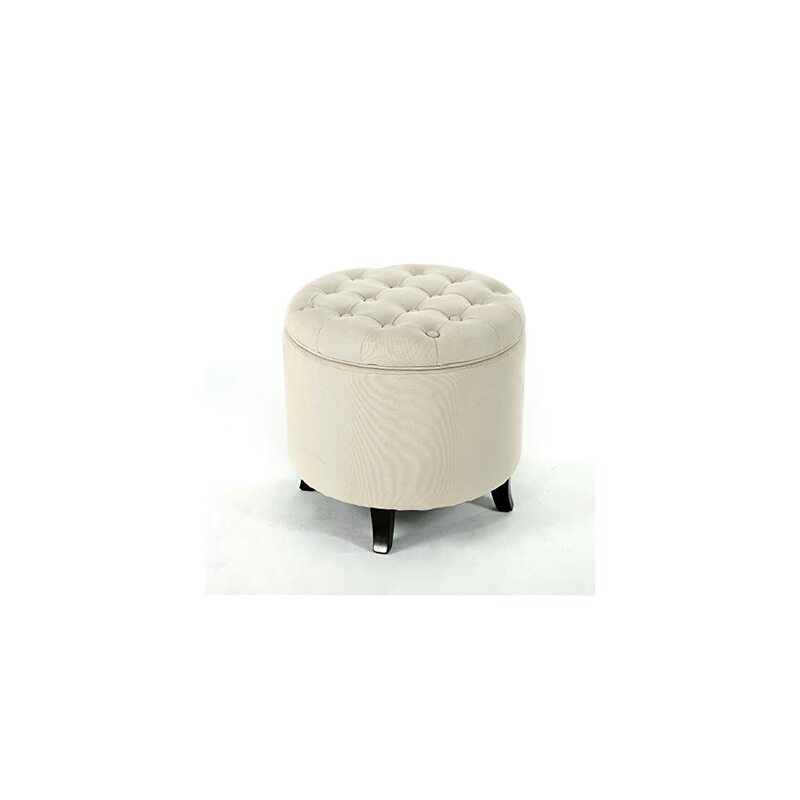 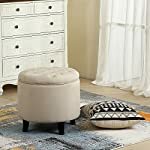 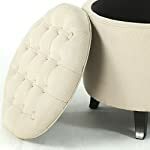 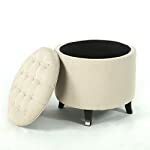 Perfect for small spaces, this ottoman is a fun addition to any room in your home.